how do you achieve these numbers? Or at least give me some suggestions on how to reach these levels. Thanks. 'How to reach these numbers' is a question for your healthcare provider really. Don't just ask some random nutter on the Internet! However (and desperately trying to avoid sounding like Mr Smug of No 22 Smug Gardens, Bigheadshire) I have had a sub 6.5% HbA1c for over 3 years now, so I know that it *is* possible if only perhaps for the lucky few. Plus I've never had fewer hypos in my life with diabetes either - so it's not that I am 'paying' for A1c improvements with the hefty cost of Severe Hypoglycaemia. I cannot really tell why some people seem to put in so much effort and get such scant rewards, and that is why I think individualised targets are SO important. 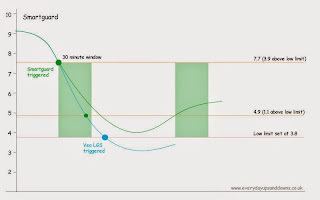 But it does seem pretty clear to me that the closer you can get to those standard-issue BG targets (5-7mmol/L waking, 4-7mmol/L pre meals and <9mmol/L by 2 hours after meals) for as many days in the week as you can manage, the closer you will get to these kind of tough, aspirational, borderline non-diabetic A1c targets. 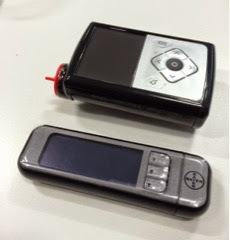 My own HbA1c has fallen by around 1.5% in recent years, and I think only around 0.5% of that is attributable to the pump - though Artoo has gone a LONG way to reduce my number of irritating low-level hypoglycaemia dips. When I look back over the changes that I have made in recent years I can see a few things that I think were important. I don't offer these as any kind of guide or advice - it's just what I did. If structured education courses are not available in your country/area you can do a lot worse than buying 'Think like a pancreas' (Scheiner), 'Type 1 Diabetes' (Hanas) or 'Pumping Insulin' (Walsh/Roberts) which cover much the same ground. Though the benefit of peer support in group sessions should not be underestimated. Alternatively look at the free BERTIE online course. Test more often AND RECORD THE RESULTS. Find some way of keeping notes daily as you go along. What you are eating, units and timing of doses (how long before... split doses...), exercise, mood, everything! Without a fairly detailed set of records I find it impossible to see what is going on. Personally I still love mySugr for this. Gadgets - seek out new tech that can help you manage your diabetes more easily. 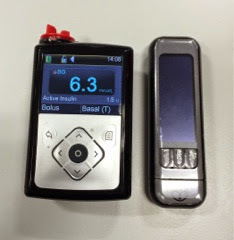 It might be a 0.5u pen; a smartphone tracking app, or copy of 'Carbs and Cals'; or it might be a BG meter with a bolus wizard so that you can have properly fine-tuned ratios without having to worry about keeping the maths easy. 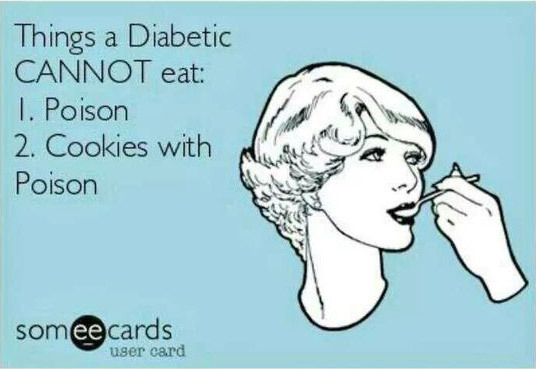 Additionally, ask your clinic about access to Insulin Pump therapy and CGM. Seek peer support - join a forum or two, join Twitter, read some blogs (thanks!) or even *crazy! * join a local group and meet face to face. Living with diabetes is tough, but it's even harder if you are battling on your own. For everyone there's a little corner of the internet that can provide support, encouragement and shared experiences. At the end of the day we each have to find our own balance between living a life and managing our diabetes. Somewhere in the middle you'll find your perfect A1c and it won't drain all the joy out of life to reach it. I haven't really got time to write this today, but I have waited too long with too many blog posts bouncing around in my head so I'm just going to rattle this one in quickly to clear some head space. 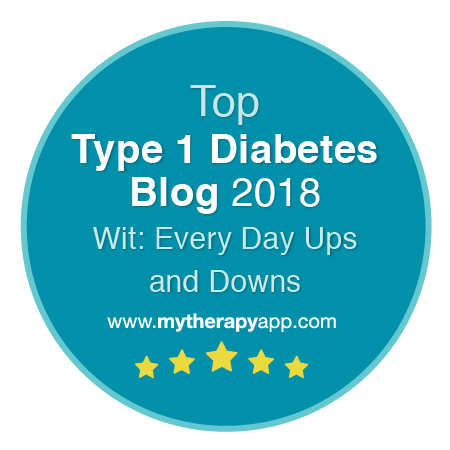 The situation has been exacerbated in recent years because of my position as one of the patient members of the NICE Guideline Development Group (GDG) for the update to the Type 1 Diabetes in Adults Guideline. It has been an enormous privilege to be part of creating the guideline. Filtering through all the research and discussions looking for definitive, evidence-based, best-practice approaches to treating and managing type 1 diabetes has been incredibly interesting (and quite hard work!). Part of the NICE process is that members of the GDG are sworn to secrecy until the guideline is published. This is partly to promote a healthy, open dialogue within the group and also because - research being what it is - new stuff emerges all the time and blabbing about what the group thinks about a topic early on, might cause upset, especially if it changes later as new results/research are found or economic models are run. As a consequence there are all sorts of really interesting things I have come across, or thought, or wanted to comment upon over the last 2 years which I have not been able to. Around the middle of December though, the 'consultation' version of the Guideline was published - you can read it here. The consultation document is the first glimpse the world gets of what we have been working on and it allows stakeholders to comment on the recommendations before they are finally published. So at last it feels like I can pop my head over the parapet. One of the aspects of the consultation document that immediately prompted some comment on diabetes forums and Twitter was the recommendation regarding aiming for an HbA1c of 48mmol/mol (6.5%). On the face of it, this sounds like madness. In a world where so many people struggle to meet the existing target of 59mmol/mol (7.5%), which fewer than 30%* of people with type 1 can manage, why on earth would you set the bar at 48mmol/mol (6.5%). Currently (and rather appropriately) achieved by just 6.5% of people with Type 1*. Why on earth would you set a target that almost 95% of people cannot reach? The section starts on page 160 and the recommendations are made on page 194. 8.1.2 Review question: In adults with type 1 diabetes, what is the optimum target HbA1c level that should be achieved to reduce the risk of complications? Surely the patient reps on the group were up in arms at such lunacy? Well actually no. If anything I was pushing for that very recommendation. And the real reason is the question. Questions are important. And without them, answers rarely make any sense. I wasn't interested in knowing whether research said achieving 6.5% was easy. I was more interested in whether it was worth it. And even more importantly - how much it was worth it. From the papers reviewed there was that familiar 'curvy' shape when complications were plotted against HbA1c values. At higher levels the line is really steep - zooming upwards with frightening menace. As HbA1c values fall down toward 8.5% things are curving off, though it is clear that even small improvements could potentially make a big difference. 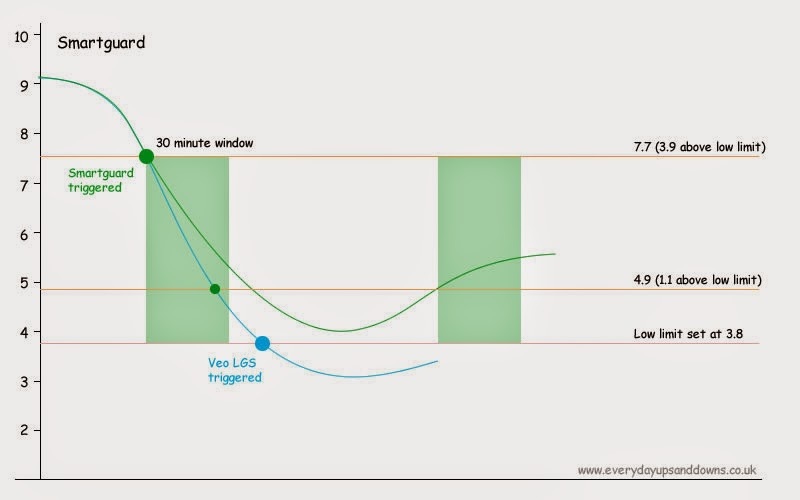 The argument that I was always given for the target of 7.5% was that below that level the added difficulty outweighed the more modest improvements of the levelling curve. But actually the improvements below 7.5% are far from level and when it comes to all the nasty things diabetes can throw at you - worth having if you can do so safely and with a decent quality of life. The next recommendation is critical too. So far from being a 'failure stick' to beat us with - I hope that this new recommendation (if it makes it to the published version) - becomes a source of support for anyone who has the time, skill, good fortune and technology to aim for a sub-7 A1c. 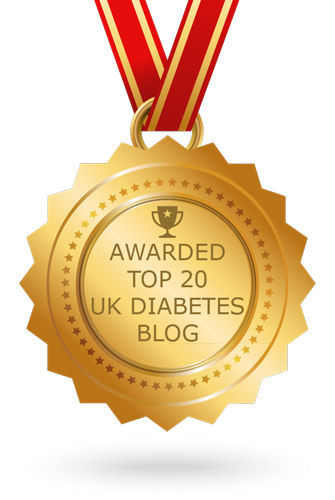 And that the next one promotes a tailored programme of support, strategies and treatment options for everyone to achieve their own perfect balance between diabetes management, results and still having a life. Mostly I hope no one gets told off again for having an HbA1c that is 'too low' by a clinic that assumes you *must* be having severe hypos all the time. What did you make of it? Do you think it will help or hinder your efforts? Follow up: How do you achieve these numbers?